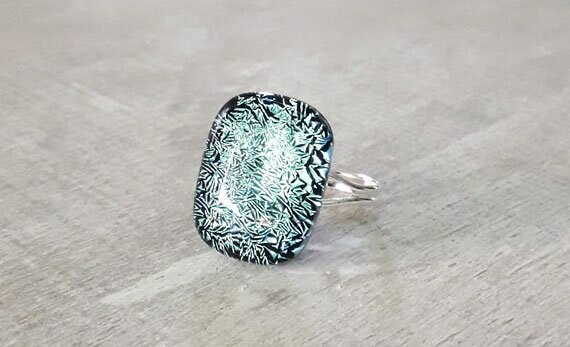 Fused glass ring, in pale blue, silver and black glass on a silver band. 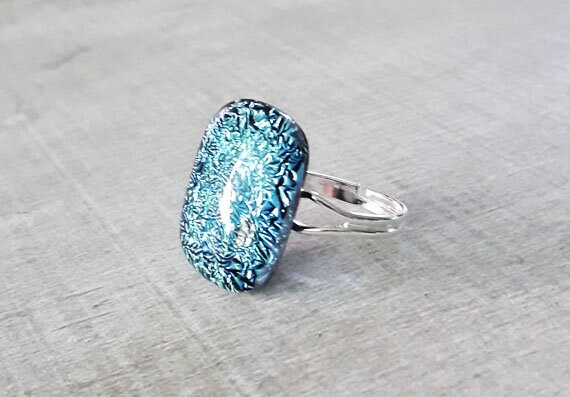 This ring has a medium sized cabochon made from fused dichroic glass, not too large and in your face, but sparkly enough to stand out well. 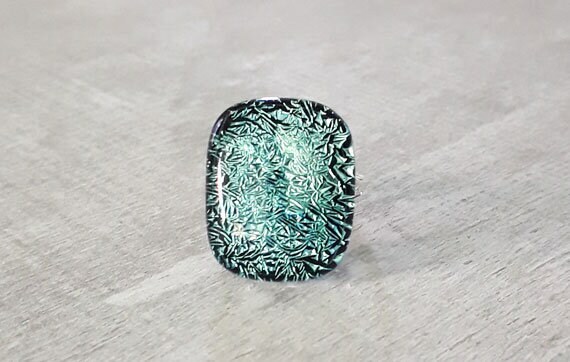 The colour is a very pale silver blue on a black background, with a crinkled, shattered sort of pattern. 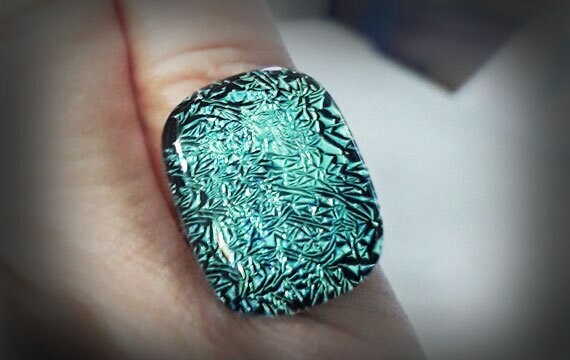 It's about 17mm x 21mm and has a delicate silver band, which is expandable.